Smoothies and smoothie bowls are great for numerous reasons. However, they usually contain a massive amount of sugar if you’re not carefully paying attention to what’s in them. For me, if I have too much sugar I feel really strange, develop a headache, and feel nauseous, all of which is less than ideal. Does anyone else feel this way? The key for me has been adding greens to my smoothies. I love adding a handful of organic spinach and tons of seeds for extra fiber. Also, having a protein powder in the mix will help keep you satisfied longer- I tend to stick with a collagen protein. Collagen is great for your gut health and consists of so many other beauty benefits (hello beautiful hair, skin, and nails). And lastly, we need fat. Having some sort of fat (whether that’s MCT oil, coconut oil/butter, avocado, or nut butter) will really help stave off hunger cravings and keep you full and happy longer. Not to mention, our brains need fat to function (don’t be afraid of good fats). Throw in some cinnamon as well! This is literally one of my favorite beauty spices. Not only does it help regulate blood sugar levels, but is also naturally sweet and is great for skin health. By having a blend of protein, fat, fiber, and leafy greens this concoction will not only keep you feeling energized, but full and satisfied until your next meal (4- 6 hours). *Note– This recipe is completely adaptable. I use whatever I have available to me in my kitchen at the time. 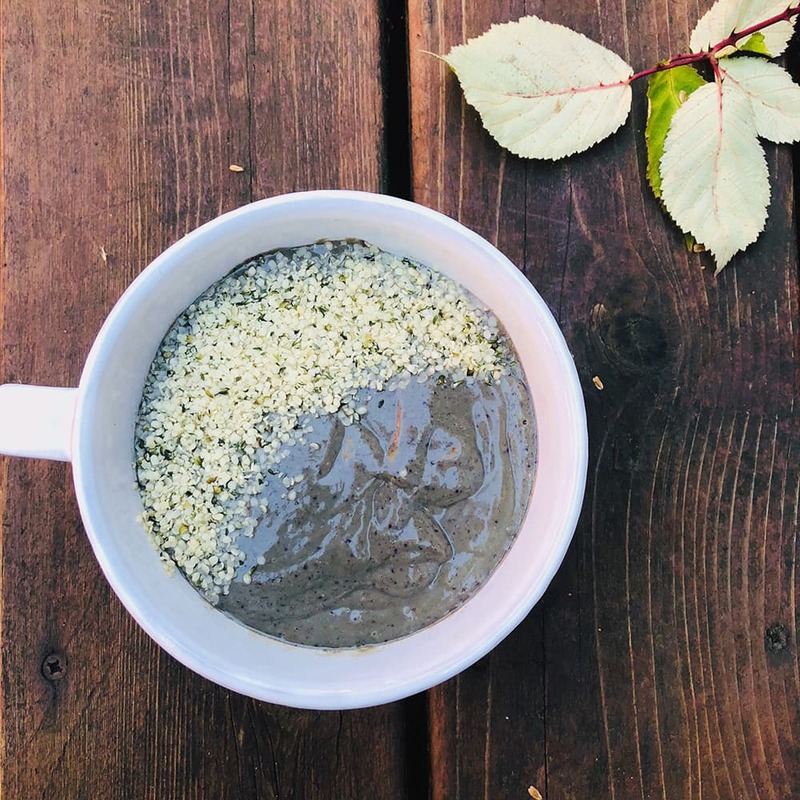 You can substitute anything- just make sure you have some sort of protein powder, healthy fat, fiber (think chia or flax seeds), and leafy greens (can be spinach or you can throw in some frozen zucchini or cauliflower chunks- I promise you won’t taste it). Also, the toppings for your smoothie bowl are endless (granola, more seeds, nuts, nut butter, etc). Happy blending! 1. Put everything in a blender and blend at high for a full minute. If you want your smoothie thicker you can add more coconut milk. I like mine thick for smoothie bowls. 2. Take the other tablespoon of hemp hearts for the topping (see photo). Feel free to add granola, more berries, or nut butter for more topping options.